Leeroy is a paladin of the Way of White. 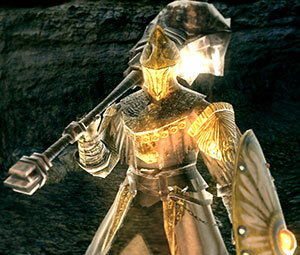 The first Undead created by the Way of White, the paladin is also the first pilgrim of the Undead mission to Lordran. As a summonable Phantom. His Soul Sign is way at the bottom near where the Skeleton Wheels are. It's the same piece of land you have to jump down onto (from the canyon you get to after climbing up and going through the hallway where the Prowling Demon is) to get a Large Soul of a Nameless Soldier. His sign is on there near the corpse with the item. As an invading Dark Spirit. Past the orange fog wall, in the (relatively) well-lit cave. He does not invade until the Lordvessel is placed and the orange fog disappears. If Leeroy falls off a ledge, once the loot appears, just quit and reload your game and his bloodstain and the loot will be where Leeroy was last standing before falling off. Warning: There is a slight chance his bloodstain and loot will reload on top of the kill box off the edge of the cliff making the items unretrievable in the current play through. 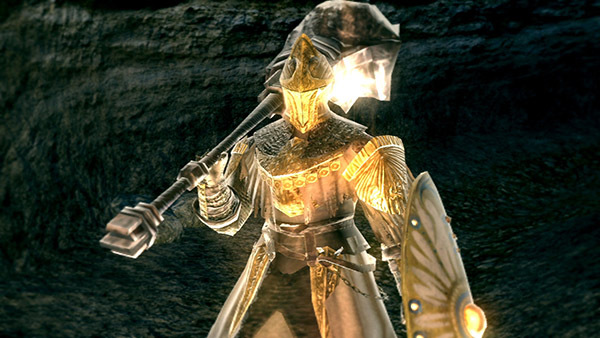 Once defeated, his corpse (containing Paladin Set) can be found in an alcove in the Gravelord Nito boss room in Tomb of the Giants. However, please note that you may have to reload or revisit the area for the armor to appear. 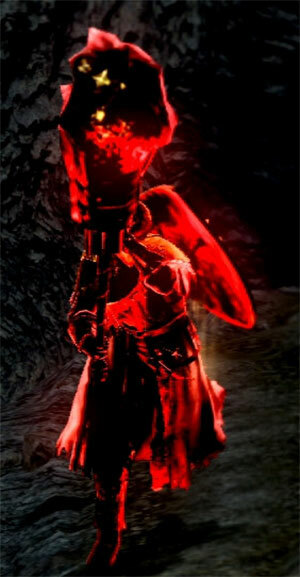 Note, you do not need to defeat Gravelord Nito to acquire his armor set, as the Gravelord Servant covenant coffin can be used to gain access to Nito's lair, where his armor set will appear. When you summon him as a phantom, unless he is in pursuit of something, his pathing will be to walk slowly to the fog-wall, although he can be manipulated to help kill all of the Skeleton Wheels and the Greataxe wielding Black Knight. If he is killed and you need to enlist him again you can either Homeward Bone back to the bonfire, or if you are on the plateau that has his soul sign, quit the game and reload to make his sign respawn. You will typically need to leave the plateau and carefully pull the enemies towards him, since engaging the Black Knight requires a full clear of the cavern floor. He is extremely reminiscent of Garl Vinland from Demon's Souls. 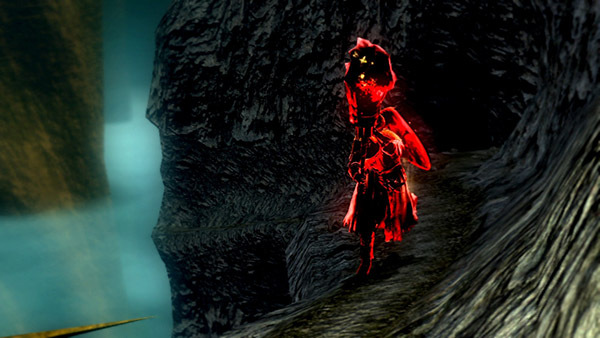 Due to the narrow ledges and his powerful weapon, you may easily be knocked off it you aren't careful. It is possible to kite him up into the tunnel or larger area before the ledge if you aren't comfortable fighting him on the narrow pathway. Alternatively, you can just knock him off the edge for an easy kill. Simply quit and reload to get his loot.